MAVA, Fondation pour la Nature, is a private foundation under Swiss law and regulated by its statutes and the Swiss Code. Our Board’s main role is to set our mission and strategy, oversee its effective implementation and ensure the foundation conducts its operations and manages its finances in accordance with best practice. We currently have nine Board members. 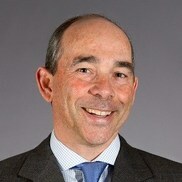 André Hoffmann has been Board President since June 2010 and members of Luc Hoffmann’s family – direct descendants or their spouses – retain a voting majority. Members are elected for a maximum three-year period, renewable twice. An exception applies to Hoffmann family members whose membership can be renewed without limit. Board membership is voluntary and unremunerated. André Hoffmann grew up surrounded by nature in the Camargue, France. He studied economics at the University of St. Gallen and holds an MBA from INSEAD. In 1983, he stepped up from his role as board member at “Fondation Tour du Valat” to the position of acting head of administration at the “Station biologique de la Tour du Valat” in the Camargue. 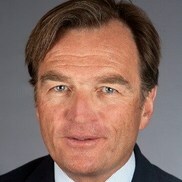 In 1985, he joined James Capel in London as an associate on the Continental Desk before working on European M&A. He then worked for Nestlé UK for three years before establishing a family office dealing with asset management and board directorships. He is non executive Vice Chairman of Roche Holdings Ltd and chairs the board of Massellaz SA. He is also a board member of the following companies: Amazentis SA, Genentech Inc., Inovalon Inc and SYSTEMIQ Ltd. 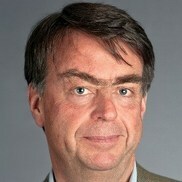 In addition André Hoffmann serves on the board of the following charities: Fondation ProValat and Paul Sacher Stiftung. In his conservation work, he is President of MAVA and of the Fondation Tour du Valat. Frederic Hoffmann is currently based in London, where he devotes his time to urban sustainability and novel food models. He holds an MSc in Environmental Policy and Regulation from the London School of Economics as well as a bachelor degree in Geography and International Development Studies from McGill University. Areas of interest and previous research topics range from urban farming policy, to valuation of afforestation programmes in northern China, to port development and mangrove degradation near the Panama Canal. 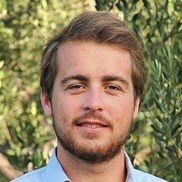 A long-standing interest in environmental issues has led Frederic to hold intern or volunteer positions in a number of conservation organisations (including RSPB, WWF International, WWF-Canada, and Tour du Valat). A keen sportsman, Frederic enjoys being outdoors, traveling, and gardening. Maja Hoffmann spent her youth in the Camargue, France. She is now a contemporary art collector and a supporter and producer of international art, film, publishing and environmental projects. She is Founder of the LUMA Foundation, whose aim is to launch and produce cultural and art projects worldwide. LUMA supports a number of art-based international initiatives and institutional projects, such as Kunsthalle Zurich and Kunsthalle Basel, the Fotomuseum Winterthur, the Palais de Tokyo in Paris, the Venice Biennale and Artangel and the Serpentine Gallery in London. It is also involved in planning one of the major cultural sites in Europe, the Parc des Ateliers in Arles. Maja Hoffmann is also one of the founders of the “Association pour le cheval de Przewalski: TAKH”. Its main aim is to reintroduce the horses to Mongolia and to effect related activities, particularly cooperation with local nomadic herders. 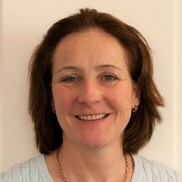 Rosalie Hoffmann holds a BA in Geography with Economics from Exeter University, UK. 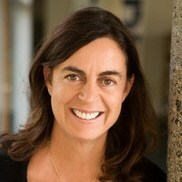 She first worked in venture capital, then teaching and PR and has served on the board of several non-profit organisations, including the MAVA Foundation and the International School of Lausanne. She is co-founder of Fondation Hoffmann which supports education and culture. Interests include the natural world, travel, as well as gardens and farming, culture and family. 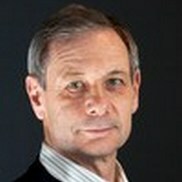 From 1997 until the end of 2009, Jonathan Knowles was Head of Group Research and Member of the Executive Committee for the Roche Group. Prior to this he served for 10 years as Director of the Glaxo Institute in Geneva and as head of European Research for Glaxo Wellcome. Dr Knowles attended Magdalen College School in Oxford and received a First Class Honours Degree in Molecular Ecology from the University of East Anglia in Norwich, England. He received his PhD in Genetics of Mitochondria from the University of Edinburgh in Scotland. He holds a visiting professorship in Personalized medicine at FIMM (Institute for Molecular Medicine Finland) at the University of Helsinki, Is Professor Emeritus at EPFL in Switzerland and holds a visiting professorship at the University of Oxford. He is the Chairman of Immunocore Ltd, a large UK base biotech company focused on Cancer and infectious disease. In addition, he serves as a member of a number of international scientific advisory boards of Public Organisations and as a non-Executive director of a number of biotechnology companies in Europe and the US. Jonathan has a lifelong interest in ecology, and is particularly interested in helping to maintain biodiversity in aquatic and mountain environments. Vera Michalski-Hoffmann spent most of her childhood in the Camargue, France. A publisher, she has devoted herself to the promotion of literature through the publishing group Libella she founded with her late husband Jan Michalski in 1986. They published a wide range of authors, in French and Polish translations, through Noir sur Blanc, Buchet-Chastel, Phébus and Wydawnictwo Literackie. 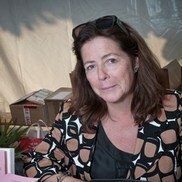 In 2004, Vera Michalski created the Fondation Jan Michalski pour l’Ecriture et la Littérature to promote writing and to provide support for writers. Vera Michalski-Hoffmann is one of the founding members of the Fondation Tour du Valat. Inspired by Luc Hoffmann while doing his PhD in the Camargue in France, Mike’s passion and career has always been conservation. He held the post of Director of Wetlands International for ten years. Keen to return to the field, since 1999 he has supported landscape-scale conservation of wetlands, coasts and forests in Asia, the Middle East, the Mediterranean and West Africa on behalf of the UN Development Programme, international NGOs, conventions and others. He has served on the Boards of English Nature, the RSPB, the Wildfowl and Wetlands Trust and Devon Wildlife Trust in the UK, the Tour du Valat Foundation in France, and the Scientific Council of the Convention on Migratory Species. For seven years he chaired the UK’s first modern UNESCO Biosphere Reserve. In his spare time, he manages a farm and County Wildlife Site in southwest England, where he lives. Hubert du Plessix is a lawyer by training whose career in banking has taken him to Geneva, London and Zurich. A specialist in institutional wealth management, he sits on the boards of several pension funds. He is currently the Director for Investments and Logistics and part of the management team at Rolex S.A., based in Geneva. He has been a passionate ornithologist all his life, collaborating on numerous research projects in Switzerland and abroad while also participating in various wetlands projects. 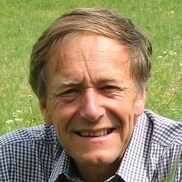 He is President of Fondation Phragmites, a wetland conservation organisation in Vaud, Switzerland, which he set up in 2008. Jean-Philippe Rochat is a lawyer and partner in the Lausanne law firm of Kellerhals Carrard, where he specializes in commercial and corporate law. He regularly advises public and private companies on corporate law issues. He is also involved in international arbitration proceedings on commercial issues. Jean-Philippe Rochat is a member of the Board of Directors and Chairman of several companies and foundations in Switzerland and abroad. Jean-Philippe Rochat has a deep attachment to mountain environments and is a passionate mountain man, cooperating with different projects concerning sustainable development in such regions.